Singapore To London By Train? – Who? What? When? Where? Why? Couldn’t get to sleep on the night before the journey as mixed feelings and random thoughts kept me wide awake the whole time. Anxiety crept in slowly during the night but mainly it was the excitement of actually embarking on this journey soon, that preoccupied me. Suddenly this crazy journey which I have planned for more than a month, was finally becoming a reality. I was finally setting off for this crazy journey. Throughout the night I distracted myself with many things like re-packing my backpack a couple of times and looking through my itinerary umpteen times. Because I wasn’t sure how long it would take for me to get across the Johor-Singapore causeway, I left the house at 05:15am. It was fairly easy to get to the Woodlands checkpoint from where I stay – taking a ride on the Mass Rapid Transit (MRT) from Jurong East station (NS1/EW24) to Kranji station (NS7) and bus no. 170 which takes me from the bus stop opposite Kranji station all the way to Johor Bahru (JB) checkpoint. It took me approx. 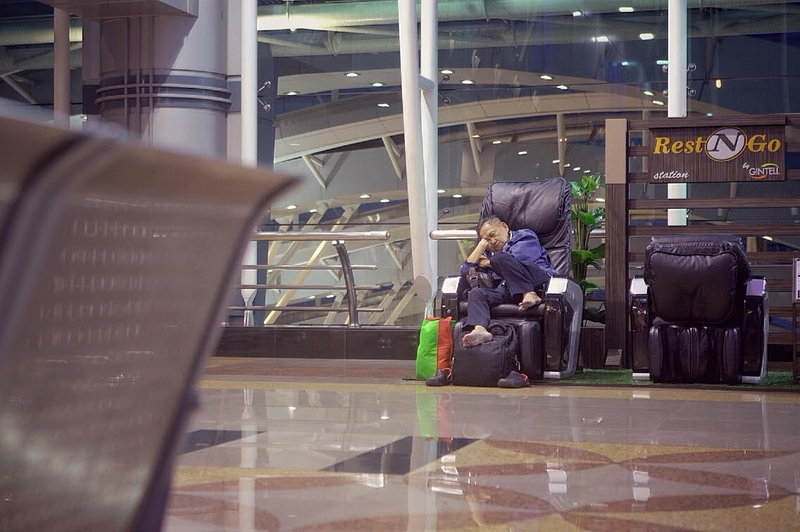 an hour and a half to arrive at JB Sentral where the main passenger lobby was (which wasn’t as bad as I thought). The train journey was smooth and uneventful (not that I am complaining). The seat was comfortable enough for me but the air-conditioning was really strong, making the carriages rather cold. 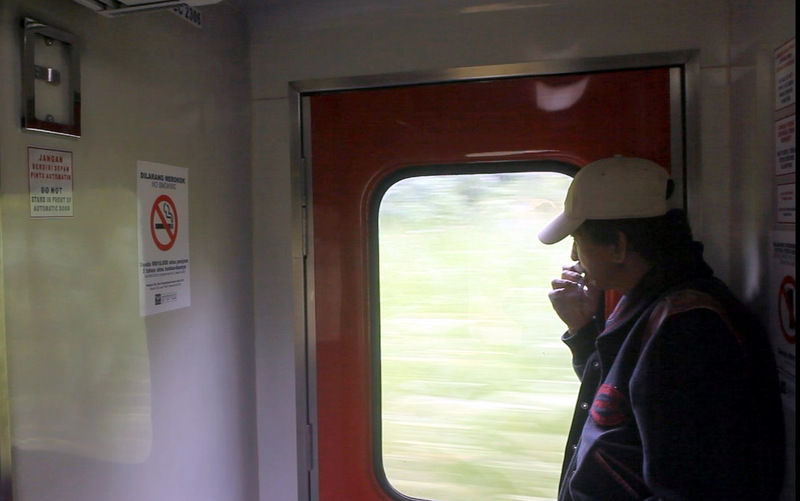 Throughout the journey, it was a refreshing change of scenery as compared to Singapore’s urbanized garden landscape. Vast greenery – palm oil plantations, kampung houses etc, flanked the train’s views on both sides as it headed north towards Kuala Lumpur and Butterworth. 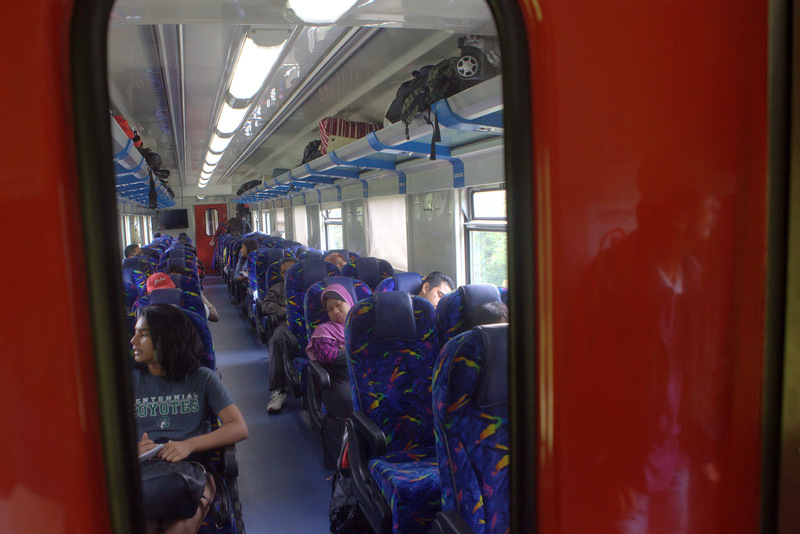 On hindsight, I guess I’ve made the better arrangement by taking the morning JB-KL train and had only six hours of transit time as compared to 15 hours if I had taken the overnight train which arrives at KL in the morning. Although there are luggage deposit services and lockers available at KL Sentral, I prefer to hold on to my backpack (just being a little uptight). I did make my way to the Merdeka Square and take a look but it rained shortly after I reached. 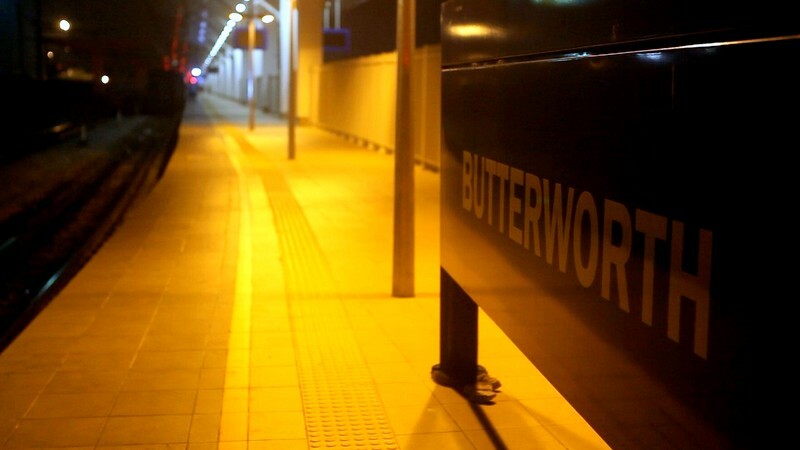 Alternatively, I could have taken the train all the way to Butterworth without stopping at KL but it would mean that I would arrive in Butterworth at 10:20pm on the same day. It is a cheaper option (by 9 ringgit?) but it’s a 14-hour ride and I still need to take the ferry to Penang and find my way to the hostel. It wasn’t worth the savings and I didn’t want to reach Penang in the middle of the night, wandering around and trying to locate my hostel. *Note: To find out more about buying the train tickets (how much? where to buy? 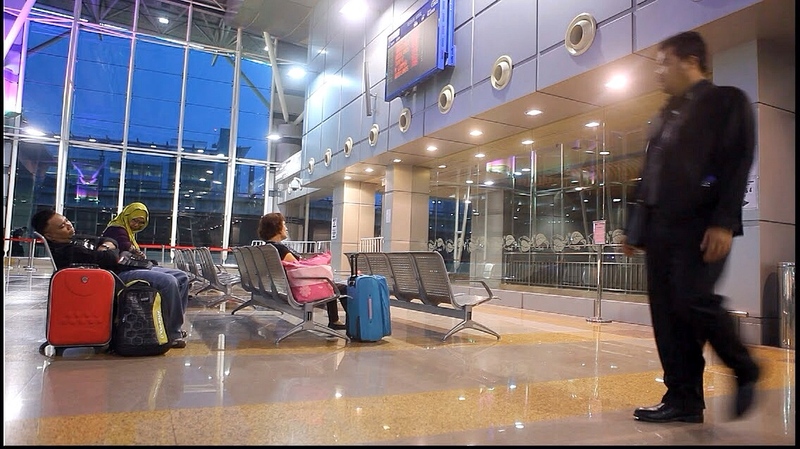 etc) and train travel from Singapore to Malaysia and Thailand, I would recommend this website – www.seat61.com. It has very detailed information on train travel in many parts of the world (if not all). It’s more organised and less complicated than me trying to replicate the information from that website here in my blog. Secondly, the travel arrangements (e.g. choice of train timing, mode of transport and seating class etc) I make along the way, may not be the best set of options that suits everyone but they are made solely based on my personal preferences and budget. Please feel free to take this blog as a guide (and nothing else) if you find it useful. I would be happy and honoured. Once again, thank you for reading this blog post. I will be sharing more photographs of my time on Penang Island in my next post, so do check out this space for more updates. Cheers! DId you started your journey on 1st Aug or 13 Aug? Hey Bro! Awesome detailing of your journey. Take more pics. Will be praying for you! Hello Ben, your travelling story inspired me so much. Will be waiting for the travel updates! 🙂 Have a safe journey! Don’t worry too much, the road is ahead and you will fulfill it. I’m about to embark on a journey away from home myself. In fact I leave tomorrow. Coming across your story today gave me courage to leave the comfortable and the known for the adventure out there. Thank you. Cheers to an adventure- filled journey! I will be following you closely as we are thinking of embarking on similar trip but we are early 60’s. Wishing you all the best !! Stay safe. Wishing you the best in your journey! 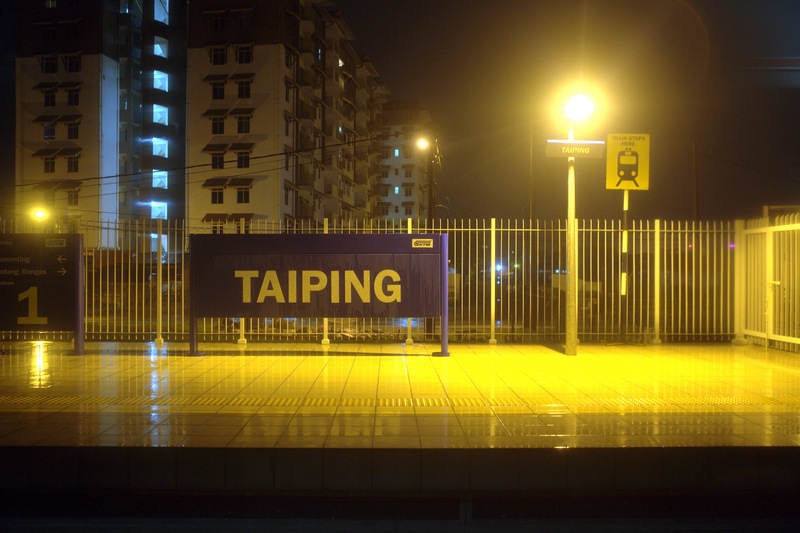 I did the Singapore to Bangkok segment in 2011 (from Tanjong Pagar station!) and then the Bangkok to Ho Chi Minh via Siem Reap and Phomn Penh segment by rail/bus in 2012. Can’t afford to do the Singapore to London in one stretch so I decided to break it down. But a lot of changes these few years. So did not progress beyond HCM. I live in Indonesia and I’ve been to a couple of places on your post here. Totally planning on taking a Jakarta-London trip without flying. WOW!! I LOVE train journeys! WAY TO GO, Benson!! I’m eagerly awaiting your updates! Sigh … I have many commitments now but I seriously want to follow your example! I am not that young anymore, guess I will have to keep as healthy as possible and try out a journey like yours in a few years’ time! Kudos to you and you’ll be fine! Stay safe and may you be blessed with kindness on your journey! can’t wait with your updates ! Here you go. Good luck and have s safe journey. Feeling so excited for you! I await your updates eagerly and wish you all the best in completing this journey! Hye. I’m from Penang as well. Welcome to my beautiful island 🙂 hope you will / had a great time here. Hey, i am planning of doing this sg to london trip by train too, next yr i hope. Would also like to visit spain as well since already going up to london and france. Hehe. Hope it works out for you. Looking forward to reading about the rest of your journey. Stay safe!